Dr. Comfort diabetic extra roomy socks are designed for people with larger calves. The Dr. Comfort extra roomy sock can fit a calf up to 24 inches in diameter. Their smooth-seam construction reduces the risk of unwanted friction that can lead to calluses. Nano bamboo charcoal fibers help keep your feet dry, which prevents infection. And they're non-binding. Dr. 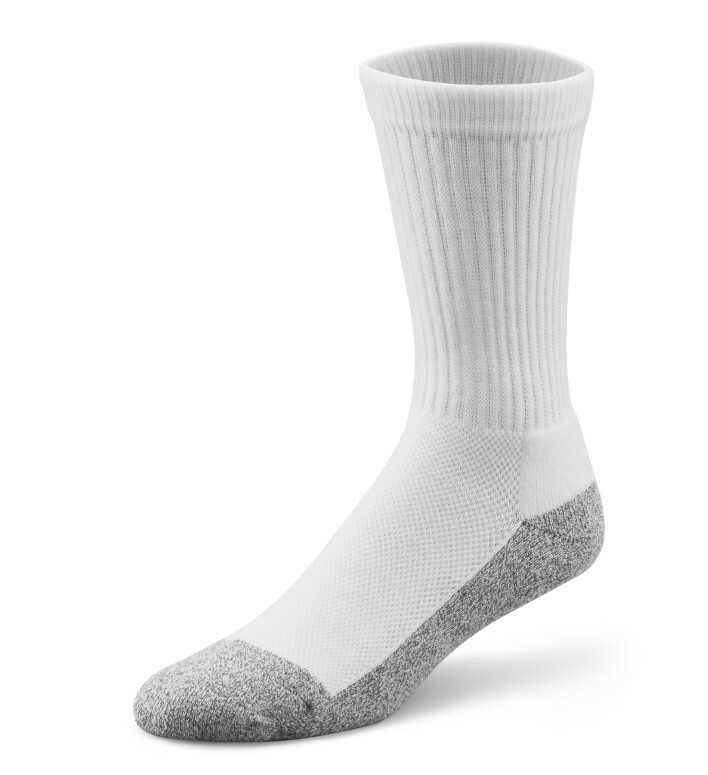 Comfort crew diabetic socks are available in white, and black.